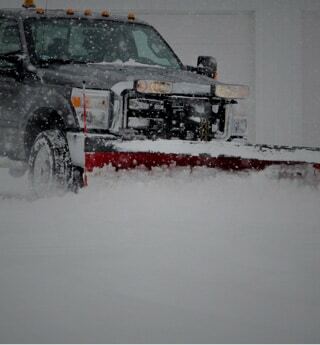 Your customers can choose you with confidence, since you can prove you carry professional snow plowing insurance. Share your Live Certificate of insurance anytime, and add each customer as an additional insured. It's all free for our customers, 24/7. Insurance used to be unffordable. That's no longer the case; we've transformed snow plowing insurance into a benefit designed for your budgets. There are no extra fees, and you can even pay monthly. Of course,it won't cost extra for your policy if you choose to pay monthly. We've built our snow plowing liability insurance around your needs, with coverage you can count on, and understand. Don't pay for coverage you don't want or need; our snow removal insurance policies are built to offer the right coverage for you. One of your clients trips over a shovel you accidentally left on the job site. He breaks his ankle. You were shoveling snow from a client's driveway. You damaged their expensive mailbox in the process. You posted a photo of a completed project at a client's home. The client was unhappy, and sues you for invasion of privacy. You finished plowing a client's driveway early in the morning. Later that morning, they come outside, and trip on some ice you failed to remove. They sue you.